There's just something classic about the look of science fiction as dreamed up by the 50s and 60s. Rocketships with big fins on them. Fishbowl-style helmets on your spacesuit. Rings around basically everything. 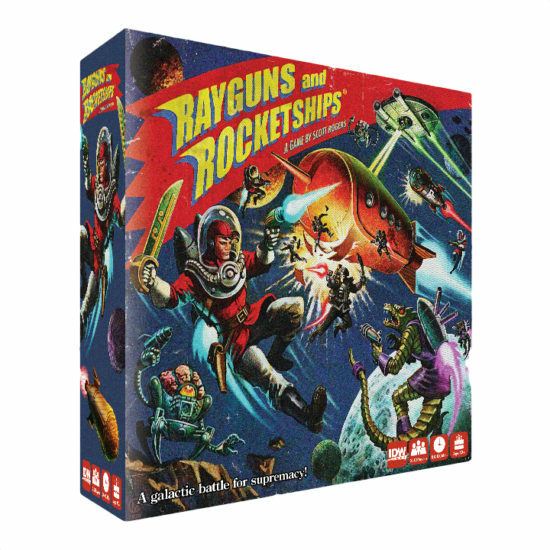 Well, IDW Games is bringing all that nostalgia to your tabletops with Rayguns and Rocketships, a new board game.